Occasionally something will catch you eye as you are out and about. This happened to Sher and I a couple of days ago. We were in the town of Stanwood, Washington checking out the old buildings. We had read about one old saloon being haunted, complete with people spotting ghostly visions in second floor windows. 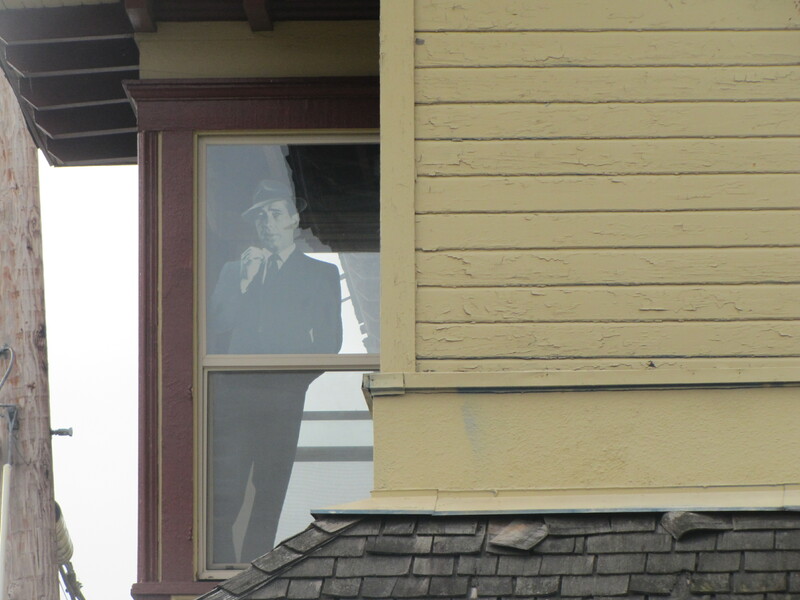 Imagine our surprise when we at the same time spotted this faint figure in a second floor window! Alas, it wasn’t a ghost. It was Humphrey Bogart.